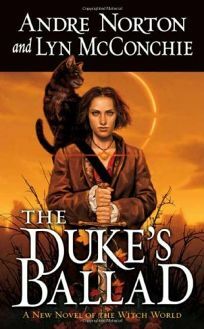 In Andre Norton and Lyn McConchie's The Duke's Ballad, the latest enjoyable entry in Norton's durable Witch World series, Aisling, a young half-breed witch, must rid her country of Karsten of the blight her brother's evil has spread. Teens will particularly appreciate this tale of magic-filled adventure, animal familiars and palace intrigue. Agent, Jack Sternig at the Sternig & Byrne Literary Agency. .